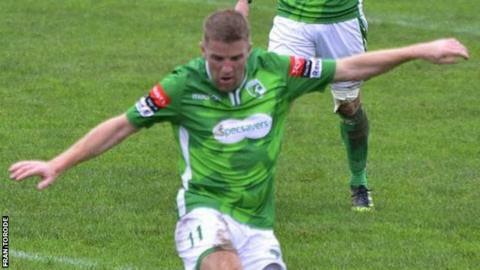 A last-minute penalty saw Guernsey suffer their second defeat in three games as they lost 2-1 at Ramsgate in Isthmian League Division One South. Joe Taylor scored a 90th minute penalty after Craig Thompson was fouled in the box by Sam Cochrane. Ian Pulman put Ramsgate ahead after 12 minutes with a free-kick before Dominic Heaume equalised 13 minutes later with an excellent half volley from distance. "At one end we had a great chance to almost score and then they broke away and it's a rash challenge by Cockers who dived in."